Aeden Aqueous is the primary location of the Lakeland ecosystem on Atys. 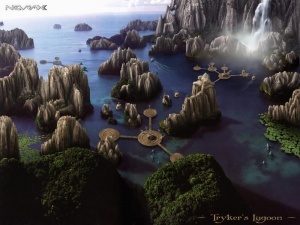 It is controlled by the Tryker race, who have all their cities in the large central region of Liberty Lake. The Aeden Aqueous continent is made up of 8 regions. The 3 central regions are pretty much one giant body of water dotted with islands, while the 5 outlying regions are mostly dry land with just small bodies of water here and there. The outlying regions are connected by tunnels. 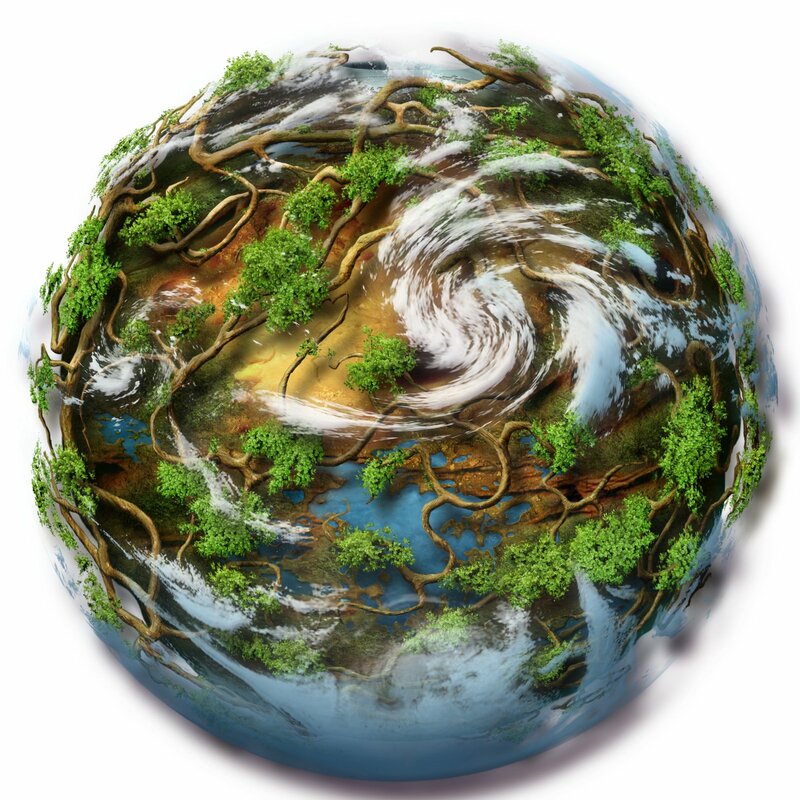 The continent only has a direct route to the Verdant Heights in the north-east, and only one opening down into the Prime Roots, located on it's far west. All settlements are located in Liberty Lake. The magical archipelago of the Lakelands is an enchanting region lost between the jungles and the forests of Atys. The myriad of islands is inhabited by the cheery Tryker people, who have embraced this exotic land as their place of predilection. The Lakelands offer an ever changing visage with white beaches, spectacular waterfalls, delightful Tryker floating villages and cliffs whose shapes leave much to the imagination. The area is teaming with resources which include many kinds of shells. The archipelago benefits from a wonderful climate with sunny weather all year round which only the odd shower or morning mist come to refresh at rare intervals. 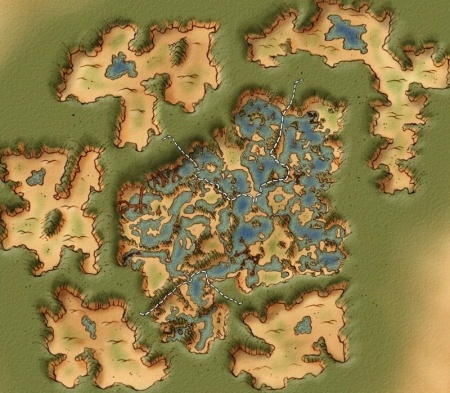 The lakelands of Aeden Aqueous have the least number of tribes of any of the major continents of the New Lands. Almost every region is home to only one tribe, who thus have their region all to themselves. This keeps the politics mostly simple, and the Tryker federation has few enemy tribes to deal with. The Slavers and the Lagoon Brothers still give them trouble however, preying on Tryker in the regions that connect the lakelands to the other continents. The safer regions are home to the Corsairs and the Silt Sculptors, tribes of Tryker that remain close allies to the federation. And in the corners of Aeden Aqueous reside a few peaceful tribes who are tolerated by the Tryker government and prefer to be left alone; the Smugglers, the Beachcombers, and the tribe of intelligent Cutes known as the Cuzans.